Sunday, March 17, 2019 by: Isabelle Z. 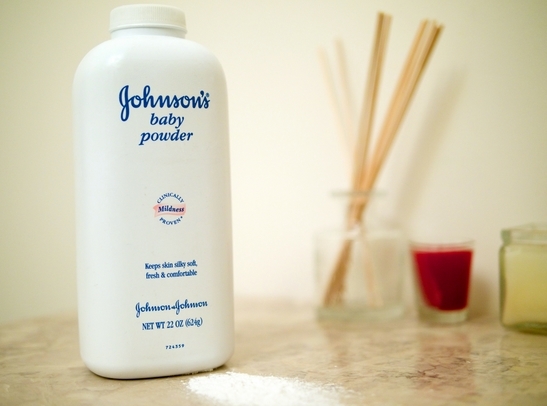 (Natural News) Johnson & Johnson has been ordered to pay $29 million after a California jury determined that its baby powder contributed substantially to a woman’s mesothelioma. The immensely popular product, which has been widely used on babies and adults alike for decades, is the target of more than 13,000 similar lawsuits that have been filed against the company. Last year, a Los Angeles woman was awarded $25.7 million after a jury agreed the baby powder caused her cancer, while 22 Missouri women were awarded $4.69 billion in a similar suit after claiming using the powder in their genital area caused ovarian cancer. In the latest case, Teresa Leavitt was awarded $24.4 million after developing mesothelioma, a cancer affecting the tissue lining the lungs and other organs, while her husband was awarded $5 million. The award covered pain and suffering, medical costs, and lost wages. The award is only compensatory; the jury decided not to award punitive damages even though they found Johnson & Johnson responsible for 98 percent of the woman’s damages. Leavitt was diagnosed with mesothelioma in 2017, and she had used the product for more than 30 years. Her complaint said that the company has known about the asbestos concerns in talcum powder since the early 1900s and has possessed scientific and medical data illustrating its health hazards. In a regulatory filing last month, J&J said it received subpoenas for more details about the dangerous products from the SEC and the Justice Department. This week, an epidemiologist testified before the House Subcommittee on Economic and Consumer Policy that talc powder causes a significant increase in the risk of cancer. Many of the people suing the company argue that the talc in the baby powder is contaminated with asbestos – something they’ve shown Johnson & Johnson has known about for decades and covered up. Internal documents obtained by Reuters showed that three tests carried out at separate labs in the 1970s showed Johnson & Johnson’s baby powder contained asbestos, but they failed to report it to the FDA and continued to sell the powder. According to the Reuters report, the company’s executives, along with scientists, lawyers, doctors and mine managers, have known for decades that the powder is toxic, yet they did nothing – and they even fought against regulators’ efforts to limit the levels of asbestos in talc products. Nevertheless, the company insists its products don’t contain asbestos. The chemical was banned from all consumer talc products in the 1970s, although it’s important to keep in mind that asbestos has a long latency period, with mesothelioma diagnosis coming 20 years or longer after initial exposure. Even if today’s products are safe – and there’s no guarantee that they are – the talc has been sold and used for many years. The company said in a statement that it was disappointed by the verdict and planned to appeal it. Past appeals have had mixed success, and the company claims its legal losses stem from juror confusion, overzealous lawyers, and what it deems “junk” science. It’s best to avoid talc products entirely given the questions about their safety. It’s important to read labels carefully as it’s used in more than 2,000 personal care and beauty products. Last year, youth-oriented retailer Claire’s stopped selling products with talc and destroyed its existing stock after the FDA warned it had found asbestos in some of its products. Using these products simply isn’t worth the risk. Scrutinize ingredient labels, and stick to natural products wherever possible – especially when it comes to products you use daily and/or on babies. Depending on your intended purpose, some safer alternatives include organic oat powder, organic cornstarch, and baking soda. While it’s good to see companies being held accountable for deceiving and poisoning the public, it’s far too late for the many people who have already developed cancer and died from using these products. See Products.news for more breaking news stories about consumer products and their health risks.